Looking for a family-friendly SUV with ample interior space, great fuel efficiency, and plenty of safety features that still fits your budget? You’ll find what you need with a reliable used Kia Sportage. 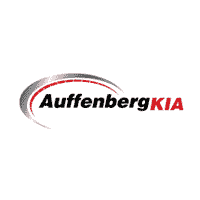 Auffenberg Kia has a wide selection of used vehicles, including a number of used Kia Sportage SUVs. Why Buy a Used Kia Sportage for Sale in O'Fallon? On top of the features you find, you can make additional upgrades with a selection of Kia accessories available at our parts center. Contact us to learn more about the used Kia Sportage SUVs available in our inventory, or visit our showroom near Trenton to take one for a test drive. Not sure whether the Sportage or Sorento is right for you? We have a selection of used Sorentos in stock too.